This article is about the 20th-century composer. For other uses, see Prokofiev (disambiguation). Sergei Sergeyevich Prokofiev (Russian: Серге́й Серге́евич Проко́фьев) (27 April 1891 – 5 March 1953) was a Russian composer, pianist and conductor who mastered numerous musical genres and is regarded as one of the major composers of the 20th century. Prokofiev was born in Sontsovka (now Krasne in Donetsk Oblast, Ukraine), an isolated rural estate in Yekaterinoslav Governorate, Russian Empire. He displayed unusual musical abilities by age five. His first piano composition to be written down (by his mother), an 'Indian Gallop', was in the Lydian mode (a major scale with a raised 4th scale degree) as the young Prokofiev felt 'reluctance to tackle the black notes'. By seven he had also learned to play chess. Much like music, chess would remain a passion, and he became acquainted with world chess champions José Raúl Capablanca and Mikhail Botvinnik. At age nine he was composing his first opera, The Giant, as well as an overture and miscellaneous pieces. In 1902, Prokofiev's mother met Sergei Taneyev, director of the Moscow Conservatory, who initially suggested that Prokofiev should start lessons in piano and composition with Alexander Goldenweiser. When Taneyev was unable to arrange this, he instead arranged for composer and pianist Reinhold Glière to spend the summer of 1902 in Sontsovka teaching Prokofiev. This first series of lessons culminated, at Prokofiev's insistence, with the 11-year-old making his first attempt to write a symphony. Glière subsequently revisited Sontsovka the following summer to give further tuition. When decades later Prokofiev wrote about his lessons with Glière, he gave due credit to Glière's sympathetic qualities as a teacher but complained that Glière had introduced him to "square" phrase structure and conventional modulations which he subsequently had to unlearn. Nonetheless, equipped with the necessary theoretical tools, Prokofiev started experimenting with dissonant harmonies and unusual time signatures in a series of short piano pieces which he called "ditties" (after the so-called "song form"—more accurately ternary form—they were based on), laying the basis for his own musical style. After a while, Prokofiev's mother felt that the isolation in Sontsovka was restricting his further musical development, yet his parents hesitated over starting their son on a musical career at such an early age. Then in 1904, while Prokofiev was in Saint Petersburg with his mother exploring the prospect of their moving there for his education, they were introduced to composer Alexander Glazunov, a professor at the Conservatory. Glazunov agreed to see Prokofiev and his music, and was so impressed that he urged Prokofiev's mother that her son apply to the Saint Petersburg Conservatory. By this point Prokofiev had composed two more operas, Desert Islands and The Feast during the Plague and was working on his fourth, Undine. He passed the introductory tests and entered the Conservatory that same year. Several years younger than most of his classmates, he was viewed as eccentric and arrogant, and he often expressed dissatisfaction with much of the education, which he found boring. During this period he studied under, among others, Anatoly Lyadov, Nikolai Tcherepnin and Nikolai Rimsky-Korsakov (though when Rimsky-Korsakov died in 1908, Prokofiev noted that he had only studied orchestration with him 'after a fashion'—that is, in a heavily attended class with other students—and regretted that he otherwise 'never had the opportunity to study with him'). He also became friends with composers Boris Asafyev and Nikolai Myaskovsky. As a member of the Saint Petersburg music scene, Prokofiev developed a reputation as a musical rebel, while getting praise for his original compositions, which he would perform himself on the piano. In 1909, he graduated from his class in composition with unimpressive marks. He continued at the Conservatory, studying piano under Anna Yesipova and conducting under Nikolai Tcherepnin. In 1910, Prokofiev's father died and Sergei's financial support ceased. Fortunately he had started making a name for himself as a composer, although he frequently caused scandals with his forward-looking works. The Sarcasms for piano, Op. 17 (1912), for example, make extensive use of polytonality, and Etudes, Op. 2 (1909) and Four Pieces, Op. 4 (1908) are highly chromatic and dissonant works. He composed his first two piano concertos around this time, the latter of which caused a scandal at its premiere (23 August 1913, Pavlovsk). According to one account, the audience left the hall with exclamations of "'To hell with this futuristic music! The cats on the roof make better music! '", but the modernists were in rapture. In 1911 help arrived from renowned Russian musicologist and critic Alexander Ossovsky, who wrote a supportive letter to music publisher Boris P. Jurgenson, thus a contract was offered to the composer. Prokofiev made his first foreign trip in 1913, travelling to Paris and London where he first encountered Sergei Diaghilev's Ballets Russes. In 1914, Prokofiev finished his career at the Conservatory by entering the so-called 'battle of the pianos', a competition open to the five best piano students for which the prize was a Schreder grand piano: Prokofiev won by performing his own Piano Concerto No. 1. Soon afterwards, he journeyed to London where he made contact with the impresario Diaghilev. Diaghilev commissioned Prokofiev's first ballet, Ala and Lolli, but rejected the work in progress when Prokofiev brought it to him in Italy in 1915. Diaghilev then commissioned Prokofiev to compose the ballet Chout. Under Diaghilev's guidance, Prokofiev chose his subject from a collection of folktales by the ethnographer Alexander Afanasyev; the story, concerning a buffoon and a series of confidence tricks, had been previously suggested to Diaghilev by Igor Stravinsky as a possible subject for a ballet, and Diaghilev and his choreographer Léonide Massine helped Prokofiev to shape this into a ballet scenario. Prokofiev's inexperience in ballet led him to revise the work extensively in the 1920s, following Diaghilev's detailed critique, prior to its first production. The ballet's premiere in Paris on 17 May 1921 was a huge success and was greeted with great admiration by an audience that included Jean Cocteau, Igor Stravinsky and Maurice Ravel. Stravinsky called the ballet "the single piece of modern music he could listen to with pleasure," while Ravel called it "a work of genius." During World War I, Prokofiev returned to the Conservatory. He studied organ in order to avoid conscription. He composed The Gambler based on Fyodor Dostoyevsky's novel of the same name, but rehearsals were plagued by problems and the scheduled 1917 première had to be cancelled because of the February Revolution. In the summer of that year, Prokofiev composed his first symphony, the Classical. This was his own name for the symphony, which was written in the style that, according to Prokofiev, Joseph Haydn would have used if he had been alive at the time. It is more or less classical in style but incorporates more modern musical elements (see Neoclassicism). This symphony was also an exact contemporary of Prokofiev's Violin Concerto No. 1 in D major, Op. 19, which was scheduled to premiere in November 1917. The first performances of both works had to wait until 21 April 1918 and 18 October 1923, respectively. He stayed briefly with his mother in Kislovodsk in the Caucasus. Worried about the enemy capturing Petrograd (the new name for Saint Petersburg), he returned in 1918. By then he was determined to leave Russia, at least temporarily. He saw no room for his experimental music and, in May, he headed for the USA. Before leaving, he developed acquaintances with senior Bolsheviks including Anatoly Lunacharsky, the People's Commissar for Education, who told him: "You are a revolutionary in music, we are revolutionaries in life. We ought to work together. But if you want to go to America I shall not stand in your way." Arriving in San Francisco after having been released from questioning by immigration on Angel Island on 11 August 1918, Prokofiev was soon compared to other famous Russian exiles (such as Sergei Rachmaninoff), and he started out successfully with a solo concert in New York, leading to several further engagements. He also received a contract for the production of his new opera The Love for Three Oranges but, due to illness and the death of the director, the premiere was postponed. This was another example of Prokofiev's bad luck in operatic matters. The failure also cost him his American solo career, since the opera took too much time and effort. He soon found himself in financial difficulties, and, in April 1920, he left for Paris, not wanting to return to Russia as a failure. Paris was better prepared for Prokofiev's musical style. He reaffirmed his contacts with Diaghilev's Ballets Russes. He also returned to some of his older, unfinished works, such as the Third Piano Concerto. The Love for Three Oranges finally premièred in Chicago in December 1921, under the composer's baton. In March 1922, Prokofiev moved with his mother to the town of Ettal in the Bavarian Alps for over a year so he could concentrate on composing. Most of his time was spent on an opera project, The Fiery Angel, based on the novel The Fiery Angel by Valery Bryusov. By this time his later music had acquired a following in Russia, and he received invitations to return there, but he decided to stay in Europe. In 1923, he married the Spanish singer Lina Llubera (1897–1989), before moving back to Paris. There, several of his works (for example the Second Symphony) were performed, but critical reception was lukewarm. However the Symphony appeared to prompt Diaghilev to commission Le Pas d'acier (The Steel Step), a 'modernist' ballet score intended to portray the industrialisation of the Soviet Union. It was enthusiastically received by Parisian audiences and critics. Prokofiev and Stravinsky restored their friendship, though Prokofiev did not particularly like Stravinsky's later works; it has been suggested that his use of text from Stravinsky's A Symphony of Psalms to characterise the invading Teutonic knights in the film score for Eisenstein's Alexander Nevsky (1938) was intended as an attack on Stravinsky's musical idiom. However, Stravinsky himself described Prokofiev as the greatest Russian composer of his day, after himself. Around 1927, the virtuoso's situation brightened; he had exciting commissions from Diaghilev and made concert tours in Russia; in addition, he enjoyed a very successful staging of The Love for Three Oranges in Leningrad (as Saint Petersburg was then known). 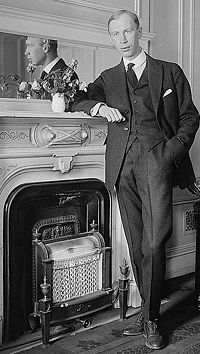 Two older operas (one of them The Gambler) played in Europe and in 1928 Prokofiev produced his Third Symphony, which was broadly based on his unperformed opera The Fiery Angel. The conductor Sergei Koussevitzky characterized the Third as "the greatest symphony since Tchaikovsky's Sixth." During 1928–29 Prokofiev composed what was to be the last ballet for Diaghilev, The Prodigal Son, which was staged on 21 May 1929 in Paris with Serge Lifar in the title role. Diaghilev died only months later. In 1929, Prokofiev wrote the Divertimento, Op. 43 and revised his Sinfonietta, Op. 5/48, a work started in his days at the Conservatory. Prokofiev wrote in his autobiography that he could never understand why the Sinfonietta was so rarely performed, whereas the "Classical" Symphony was played everywhere. Later in this year, however, he slightly injured his hands in a car crash, which prevented him from performing in Moscow, but in turn permitted him to enjoy contemporary Russian music. After his hands healed, he toured the United States successfully, propped up by his recent European success. This, in turn, propelled him on another tour through Europe. In 1930 Prokofiev began his first non-Diaghilev ballet On the Dnieper, Op. 51, a work commissioned by Serge Lifar, who had been appointed maitre de ballet at the Paris Opéra. In 1931 and 1932 he completed his fourth and fifth piano concertos. The following year saw the completion of the Symphonic Song, Op. 57, a darkly scored piece in one movement. In the early 1930s, Prokofiev was starting to long for Russia again; he moved more and more of his premieres and commissions to his home country from Paris. One such was Lieutenant Kijé, which was commissioned as the score to a Soviet film. Another commission, from the Kirov Theater in Leningrad, was the ballet Romeo and Juliet. Today, this is one of Prokofiev's best-known works, and it contains some of the most inspired and poignant passages in his body of work. However, the ballet's original happy ending (contrary to Shakespeare), caused the premiere to be postponed for several years. In this period he began to practice the religion and teachings of Christian Science, to which he remained faithful for the rest of his life. In 1935, Prokofiev returned permanently to the Soviet Union; his family followed a year later. At this time, the official Soviet policy towards music changed; a special bureau, the "Composers' Union", was established in order to keep track of the artists and their doings. By limiting outside influences, these policies would gradually cause almost complete isolation of Soviet composers from the rest of the world. Both Prokofiev and Shostakovich came under particular scrutiny for "formalist tendencies." Forced to adapt to the new circumstances (whatever misgivings he had about them in private), Prokofiev wrote a series of "mass songs" (Opp. 66, 79, 89), using the lyrics of officially approved Soviet poets. At the same time Prokofiev also composed music for children (Three Songs for Children and Peter and the Wolf, among others) as well as the gigantic Cantata for the Twentieth Anniversary of the October Revolution, which was banned from performance and had to wait until May 1966 for a partial premiere. In 1938, Prokofiev collaborated with Eisenstein on the historical epic Alexander Nevsky. For this he composed some of his most inventive and dramatic music. Although the film had a very poor sound recording, Prokofiev adapted much of his score into a large-scale cantata for mezzo-soprano, orchestra and chorus, which was extensively performed and recorded. In the wake of Alexander Nevsky's success, Prokofiev composed his first Soviet opera Semyon Kotko, which was intended to be produced by the director Vsevolod Meyerhold. However the première of the opera was postponed because Meyerhold was arrested on 20 June 1939 by the NKVD (Joseph Stalin's Secret Police), and shot on 2 February 1940. Only months after Meyerhold's arrest, Prokofiev was 'invited' to compose Zdravitsa (literally translated 'Cheers! ', but more often given the English title Hail to Stalin) (Op. 85) to celebrate Joseph Stalin's 60th birthday. Later in 1939, Prokofiev composed his Piano Sonatas Nos. 6, 7, and 8, Opp. 82–84, widely known today as the "War Sonatas." Premiered respectively by Prokofiev (No. 6: 8 April 1940), Sviatoslav Richter (No. 7: Moscow, 18 January 1943) and Emil Gilels (No. 8: Moscow, 30 December 1944), they were subsequently championed in particular by Richter. Biographer Daniel Jaffé argued that Prokofiev, "having forced himself to compose a cheerful evocation of the nirvana Stalin wanted everyone to believe he had created" (i.e. in Zdravitsa) then subsequently, in these three sonatas, "expressed his true feelings". As evidence of this, Jaffé has pointed out that the central movement of Sonata No. 7 opens with a theme based on a Robert Schumann lied, 'Wehmut' ('Sadness', which appears in Schumann's Liederkreis, Op. 39): the words to this translate "I can sometimes sing as if I were glad, yet secretly tears well and so free my heart. Nightingales... sing their song of longing from their dungeon's depth... everyone delights, yet no one feels the pain, the deep sorrow in the song." Ironically (only because, it appears, no one had noticed his allusion) Sonata No. 7 received a Stalin Prize (Second Class), and No. 8 a Stalin Prize First Class, even though the works have been subsequently interpreted as representing Prokofiev "venting his anger and frustration with the Soviet regime." Prokofiev had been considering making an opera out of Leo Tolstoy's epic novel War and Peace, when news of the German invasion of Russia on 22 June 1941 made the subject seem all the more timely. Prokofiev took two years to compose his original version of War and Peace. Because of the war he was evacuated together with a large number of other artists, initially to the Caucasus where he composed his Second String Quartet. 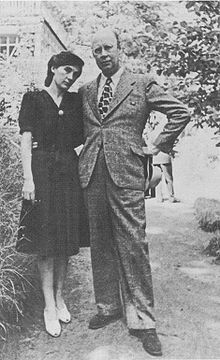 By this time his relationship with the 25-year-old writer Mira Mendelson (1915–1968) had finally led to his separation from his wife Lina, although they were never technically divorced: indeed Prokofiev had tried to persuade Lina and their sons to accompany him as evacuees out of Moscow, but Lina opted to stay. During the war years, restrictions on style and the demand that composers should write in a 'socialist realist' style were slackened, and Prokofiev was generally able to compose in his own way. The Violin Sonata No. 1, Op. 80, The Year 1941, Op. 90, and the Ballade for the Boy Who Remained Unknown, Op. 93 all came from this period. Some critics have said that the emotional springboard of the First Violin Sonata and many other of Prokofiev's compositions of this time "may have more to do with anti-Stalinism than the war", and most of his later works "resonated with darkly tragic ironies that can only be interpreted as critiques of Stalin's repressions." In 1943 Prokofiev joined Eisenstein in Alma-Ata, the largest city in Kazakhstan, to compose more film music (Ivan the Terrible), and the ballet Cinderella (Op. 87), one of his most melodious and celebrated compositions. Early that year he also played excerpts from War and Peace to members of the Bolshoi Theatre collective. However, the Soviet government had opinions about the opera which resulted in many revisions. In 1944, Prokofiev moved to a composer's colony outside Moscow in order to compose his Fifth Symphony (Op. 100) which would turn out to be the most popular of all his symphonies, both within Russia and abroad. Shortly afterwards, he suffered a concussion after a fall due to chronic high blood pressure. He never fully recovered from this injury, which severely reduced his productivity in the ensuing years, though some of his last pieces were as fine as anything before. Prokofiev had time to write his postwar Sixth Symphony and a ninth piano sonata (for Sviatoslav Richter) before the Party, as part of the so-called "Zhdanov Decree", suddenly changed its opinion about his music. The war's end allowed the Party to tighten its reins on domestic artists, forcing creative attention to turn inward again. Prokofiev's music was now seen as a grave example of formalism, and was branded as 'anti-democratic'. With many works banned, most concert and theatre administrators panicked and would not program Prokofiev's music at all, leaving him in severe financial straits. On 20 February 1948, Prokofiev's wife Lina was arrested for 'espionage', as she tried to send money to her mother in Spain. She was sentenced to 20 years, but was eventually released after Stalin's death in 1956 and in 1974 left the Soviet Union. His latest opera projects were quickly cancelled by the Kirov Theatre. This snub, in combination with his declining health, caused Prokofiev to progressively withdraw from active musical life. His doctors ordered him to limit his activities, limiting him to composing for only an hour or two each day. In 1949 he wrote his Cello Sonata in C, Op. 119, for the 22-year old Mstislav Rostropovich, who gave the first performance in 1950, with Sviatoslav Richter. The last public performance of his lifetime was the première of the somewhat bittersweet Seventh Symphony in 1952. The music was written for a children's television program. Prokofiev died at the age of 61 on 5 March 1953: the day Stalin's death was announced. He had lived near Red Square, and for three days the throngs gathered to mourn Stalin, making it impossible to carry Prokofiev's body out for the funeral service at the headquarters of the Soviet Composer's Union. Paper flowers and a taped recording of the funeral march from Romeo and Juliet had to be used, as all real flowers and musicians were reserved for Stalin's funeral. He is buried in the Novodevichy Cemetery in Moscow. The leading Soviet musical periodical reported Prokofiev's death as a brief item on page 116. The first 115 pages were devoted to the death of Stalin. Usually Prokofiev's death is attributed to cerebral hemorrhage (bleeding into the brain). He had been chronically ill for the prior eight years; the precise nature of Prokofiev's terminal illness remains uncertain. Lina Prokofieva outlived her estranged husband by many years, dying in London in early 1989. Royalties from her late husband's music provided her with a modest income. Their sons Sviatoslav (1924-2010), an architect, and Oleg (1928–1998), an artist, painter, sculptor and poet, dedicated a large part of their lives to the promotion of their father's life and work. Prokofiev was a soloist with the London Symphony Orchestra, conducted by Piero Coppola, in the first recording of his Piano Concerto No. 3, recorded in London by His Master's Voice in June 1932. Prokofiev also recorded some of his solo piano music for HMV in Paris in February 1935; these recordings were issued on CD by Pearl and Naxos. In 1938, he conducted the Moscow Philharmonic Orchestra in a recording of the second suite from his Romeo and Juliet ballet; this performance was later released on LP and CD. Another reported recording with Prokofiev and the Moscow Philharmonic was of the First Violin Concerto with David Oistrakh as soloist; Everest Records later released this recording on an LP. Despite the attribution, the conductor was Alexander Gauk. Prokofiev may well be the most popular composer of 20th century music. His orchestral music alone is played more frequently in the United States than that of any other composer of the last hundred years, save Richard Strauss, while his operas, ballets, chamber works, and piano music appear regularly throughout the major concert halls world-wide. Yet he has never won the admiration of Western academics and critics currently enjoyed by Igor Stravinsky and Arnold Schoenberg, composers purported to have a greater influence on a younger generation of musicians. While his Symphony No. 1, Op. 25, "Classical" is likely the first definitive neo-classical composition, arriving 4–5 years before such works as Stravinsky's Pulcinella, some contend that "the movement started in earnest with Stravinsky", or even cite the influence of Stravinsky's neo-classicism on Prokofiev. Nor has Prokofiev's biography captured the imagination of the public, in the way that Shostakovich appeared, for example, in sources such as Volkov's Testimony, as an impassioned dissident. 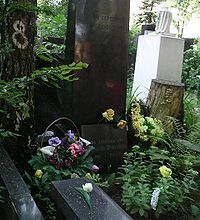 Whilst Arthur Honegger proclaimed that Prokofiev would "remain for us the greatest figure of contemporary music", his reputation in the West has suffered greatly as a result of cold-war antipathies. But Prokofiev's music and his reputation stand well-positioned to benefit from the demise of cultural politics. His fusion of melody and modernism and his "gift, virtually unparalleled among 20th-century composers, for writing distinctively original diatonic melodies", may stand him in good stead as we begin to appreciate the unique genius of this most prolific and enigmatic of composers. Prokofiev, Sergei (1979). David H. Appel. ed. Prokofiev by Prokofiev: A Composer's Memoir. Guy Daniels (translator). New York: Doubleday & Co.. ISBN 0-385-09960-6. Prokofiev, Sergei (2000) . S. Shlifstein. ed. Sergei Prokofiev: Autobiography, Articles, Reminiscences. Rose Prokofieva (translator). The Minerva Group, Inc.. ISBN 0898751497. http://books.google.com/books?id=VOnVVbaYt28C. Prokofiev, Sergei (2006). Diaries 1907–1914 editor=Anthony Phillips. London: Faber and Faber. ISBN 0-571-22629-9. Prokofiev, Sergei (2008). Anthony Phillips (translator and editor). ed. Diaries 1915–1923. London: Faber and Faber. ISBN 0571226306. Morrison, Simon (2008). The People's Artist: Prokofiev's Soviet Years. Oxford. Sergei Prokofiev on the 110th anniversary of his birth: letters, reminiscences and articles, (in Russian). Moscow. 1991. ISBN 5201146073. ^ Old Style date 15 April 1891. ^ Sergei Prokofiev and Chess by Edward Winter. Chesshistory.com. Retrieved on 2010-08-28. ^ "Alexander Glazunov (1865–1936)". http://www.balletmet.org/Notes/Glazunov.html. ^ polytonality (music) – Britannica Online Encyclopedia. Britannica.com. Retrieved on 2010-08-28. ^ The Many faces of Prokofiev. Part 2. Sprkfv.net. Retrieved on 2010-08-28. ^ Wakin, Daniel J. (8 March 2009). "THE WEEK AHEAD: March 8 – 14 March: Classical". The New York Times. http://query.nytimes.com/gst/fullpage.html?res=9C0DE1DB1438F93BA35750C0A96F9C8B63&scp=4&sq=Chout%20Prokofiev%20Stravinsky&st=cse. Retrieved 23 May 2010. ^ Martin Kettle (21 July 2006). "First among equals". London: The Guardian. http://arts.guardian.co.uk/features/story/0,,1825040,00.html. Retrieved 2006-10-21. ^ "Now his most celebrated work has been given a new lease of life." ^ Sergei Prokofiev, a biographical sketch by Robert Cummings. Fortunecity.com (1953-03-05). Retrieved on 2010-08-28. ^ McGraw-Hill | Sergey Prokofiev. Spotlightonmusic.macmillanmh.com (1953-03-05). Retrieved on 2010-08-28. ^ Prokofiev Biography: Twilight (1945–1953). Prokofiev.org (1953-03-05). Retrieved on 2010-08-28. ^ The Seventh Symphony is variously viewed as overly simplistic or banal by its critics, but with dark emotions beneath the surface. ^ Norris, Geoffrey (23 January 2003). "My father was naïve". The Daily Telegraph (London). http://www.telegraph.co.uk/arts/main.jhtml?xml=/arts/2003/01/23/bmash23.xml&sSheet=/arts/2003/01/23/ixartleft.html. Retrieved 23 May 2010. ^ Dorothea Redepenning. "Grove Music Online." ^ Michael Kennedy. "Oxford Concise Dictionary of Music." Oxford, 2007. p.526. ^ Smith, S. "Prokofiev and the Spirit of Paris." New York Times. 20 March 2009. ^ Randel, D.M. (Ed.) The Harvard Concise Dictionary of Music and Musicians. Cambridge, 2003. ^ Taruskin, R. in "New Grove Dictionary of Opera." Sadie, S. (Ed.) Oxford, 2004. Boosey and Hawkes' Prokofiev page – Most of Prokofiev's music is published by B&H. This page was last modified on 25 February 2011 at 21:10.